Ciox Health was recently named, along with several dozen Indiana hospitals, in a lawsuit claiming that the hospitals fraudulently claimed to give patients requested copies of their medical records within three business days 50 percent of the time as HHS requires. 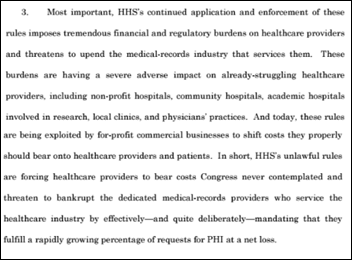 The lawsuit also says Ciox Health illegally profited from overcharging patients for their records in violation of anti-kickback laws. Netherlands-based Philips doesn’t have the healthcare cachet of Cerner and Shafer has worked there for 12 years. I was expecting a stronger pedigree, either within health IT or as a publicly traded health-related company’s CEO. I’m surprised that running an international company’s US business unit was enough of a track record to justify becoming Cerner’s CEO and chairman. Despite Cerner’s insistence upon the death of Neal Patterson that the company’s succession plan would allow it to replace him quickly, it took six months, perhaps raising the question of who else was considered, which of those declined, why internal candidates were ruled out, and what factors landed Shafer the job? It’s tough to replace a visionary, passionate founder with a strong will who has held the CEO role since the beginning, rather like Apple searching for a replacement for Steve Jobs. Still, Cerner’s board chose Shafer with appropriate due diligence and he has the complete authority to lead the company his way. From PHG: “Re: Philips. 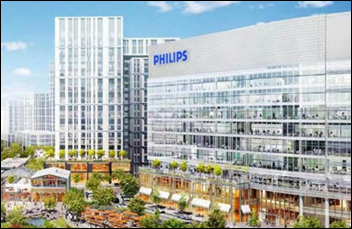 Announced internally that they will shutter their North American headquarters in Andover, MA by 2020, move 2,000 employees to a new facility in Cambridge, and lay off or transition many roles to different facilities.” The story hit the papers late Thursday as you described it, with Philips following other companies that have left suburbia for downtown Boston (Kendall Square in its case). From Polite Discourse Please: “Re: CIO/CNIO guest authors. You might get more people interested if you applied a more strict comment policy to avoid some of the reader nastiness that Ed Marx got at times. I suggest either not allowing anonymous comments or approving only professional, respectful responses.” I agree and would be happy to do that. I don’t like censoring people, but on the other hand I’m embarrassed when a guest author gets skewered, even though I can tell when they’ve written something that is likely to raise emotion. Ed told me recently that he wasn’t bothered much by the criticism and in fact got a lot more positive responses offline, such as invitations to events and mentorship requests from some folks all the way to the CEO level. From Allscripts Watcher: “Re: Practice Fusion. Hearing that part of the Allscripts plan is to eliminate the free model and start charging providers $200 per month.” Unverified, but reasonable, although customer defection is likely to be substantial. I still question how many active users Practice Fusion has (they’ve always been coy about usage numbers) and whether selling patient data and drug company ads brought in much revenue. Allscripts knows, though, and says $100 million is a good deal, presumably in acquiring a marketable product since the customer base is iffy. Allscripts has turned into a health IT mutual fund in buying low with hopes of selling high (in the form of higher share price). From Duke Hazard: “Re: my 20-bed hometown hospital. Overpaid staff by millions of dollars, making its providers some of the country’s highest paid. Whether it’s by incompetence or corruption, it’s inexcusable.” Auditors find that the appropriately named Cavalier County Memorial Hospital (ND) has been overpaying two doctors and a nurse practitioner for almost 10 years, totaling $2.5 million and making them among the country’s highest paid. They’re no longer at the hospital, but a new CFO is. I’d put my money on corruption – how can executives miss plowing such a large chunk of their revenue into the hands of just three providers without anyone noticing for 10 years? Wolters Kluwer Health will sell its ProVation Medical gastroenterology software business to Clearlake Capital Group for $180 million in cash. Wolters Kluwer Health says it will focus instead on broad, multi-specialty products. The Sacramento Bee notes that few people have heard of California’s second-richest company behind Apple – McKesson. Philips promotes Vitor Rocha, head of the company’s ultrasound business, to CEO of North America. He replaces Brent Shafer, who will become Cerner chairman and CEO on February 1. HHS promotes Kathryn Marchesini to ONC’s chief privacy officer. Qlik names Mike Capone (Medidata Solutions) as CEO. 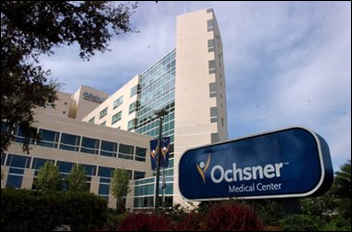 Ochsner Health System (LA) will integrate its Epic system with the state’s prescription monitoring program via Appriss Health’s PMP Gateway service. A Reaction Data survey of 889 doctors almost evenly split between ambulatory and hospital practice finds that Epic leads all vendors by far in being chosen in system replacements. Dissatisfaction among all EHR users seems to be significant, but in the absence of specific “hate it” numbers, I’m reading between the lines that EClinicalWorks is the least-disliked (maybe or not the same as “most-liked”) vendor, Allscripts finishes worst of all, but ironically 70 percent of the users of new Allscripts acquisition Practice Fusion are advocates of that product. Portneuf Quality Alliance (ID) selects population health management technology from Lightbeam Health Solutions. Springhill Medical Center (LA) will implement Medhost’s EDIS. DaVita Physician Solutions, affiliated with DaVita Kidney Care, chooses Epic as the foundation for its chronic kidney disease / end-stage renal disease EHR called CKD EHR. The press releases is tough to follow, but Epic will apparently replace its internally developed Falcon Platinum EHR and offer users a migration path. The Boston Globe highlights the progress EHR vendors are making with embedded virtual assistant technology that resembles Alexa and Siri. 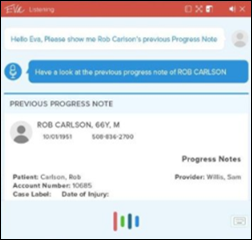 EClinicalWorks rolled out its assistant Eva to customers in December, Epic will reportedly launch a virtual assistant next month. and Athenahealth has one in the works. 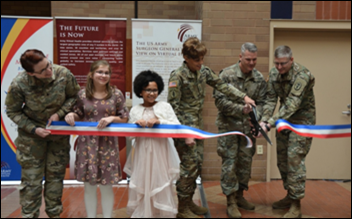 Brooke Army Medical Center (TX) personnel launch Army Medicine’s first virtual medical center, which will also serve as a test site for additional centers. Sensato Cybersecurity Solutions and ComplyAssistant develop a scalable medical device cybersecurity operations program for hospitals that includes device monitoring, breach detection, and automated assessment and risk scoring. A US News & World Report survey finds that software developer is the best job of 2018, The report considered hiring demand, work-life balance, income, and future prospects. 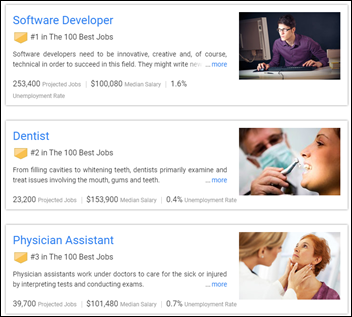 Healthcare jobs usually top the list and still hold positions 2-5 with dentist, physician assistant, nurse practitioner, and orthodontist. All the highest-paying jobs are in healthcare, as the jobs tying for first with a $208K median salary are anesthesiologist, OB/GYN, oral and maxillofacial surgeon, orthodontist, and surgeon. Weird News Andy knew that some hospitals dump patients, but he says it’s still shocking to see it happening on video. A bystander records University of Maryland Medical Center Midtown Campus (MD) security guards wheeling out a patient dressed only in her hospital gown and dropping her off at a bus stop on a 30-degree night. The bystander called police and medics took her back to the same hospital. MedData will exhibit at the HFMA WI Mega Healthcare Conference January 15-17 in Wisconsin Dells. NTT Data will offer AI-based solutions from Pieces Technologies to healthcare customers. Parallon Technology Solutions will exhibit at the MUSE Executive Institute January 14-16 in Newport Coast, CA. Experian Health will exhibit at the HFMA Western Symposium January 14-18 in Las Vegas. ZeOmega achieves significant growth and product innovation in 2017. Forward Health Group earns the highest score in clinician engagement among population health vendors in the KLAS Research 2017 Population Health Management report. The ND Hospital “overpaid” staff piqued my interest, so I actually did some fact checking. Cavalier County Memorial Hospital is a 501(c)(3), so it reports compensation on its Form 990 (you can look them up: http://990finder.foundationcenter.org). Family Nurse Practitioner: WITZEL @~$100K. None of them are currently listed as “Providers” on the hospital website. Maybe my blue state bias is showing, but $200K for a Physician and $100K for a Nurse Practitioner does not seem like a huge salary to me. It actually is a bit less than I would have though, and certainly not “the highest in the country”. Attracting talent to Langdon, North Dakota is probably no picnic. Which leaves us with Dr. Patel’s king’s ransom of $700K. As the Chief of a CAH, I would expect that s/he assigned their professional fees to the hospital, and was paid a salary based on some ratio of pro fee billings (perhaps 100%). This wouldn’t be a wholly uncommon compensation structure. 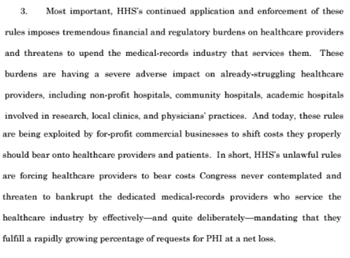 That said, it’s possible/likely that a disproportionate share of the pro fees were being billed under the Chief’s NPI, driving up compensation…but this feels more like “healthcare economics in America” with a dash of petty small town politics than some shady criminal enterprise. “ND Hospital Overpays…” Surprised no one ever reads IRS-990s, because when it comes to compensation of the top staff, it’s all spelled-out. Available at the hospital or on http://www.guidestar.org.